Find a vacation home to rent in Province of Isernia from our list of vacation rental properties. Campaya has over 3 vacation homes available in Province of Isernia, which give you the possibility to locate a unique accommodation in Province of Isernia which completes your check-list in search for the perfect self catering vacation apartments in Province of Isernia or vacation villas in Province of Isernia. Charming villa located about 19km from Isernia, surrounded by large natural and fenced grounds (5000 m2).This large property offers plenty of space both inside and outdoors. 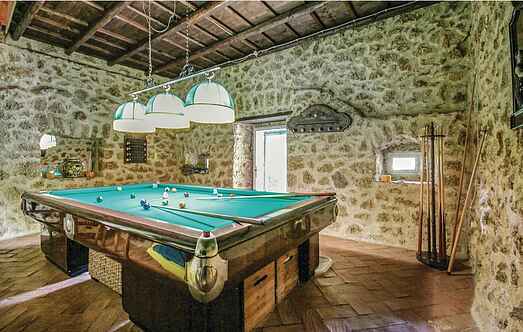 In the heart of Mainarde, in the beautiful surroundings of the lake of Castel San Vincenzo, lies this holiday home (semi-detached house) from the end of the nineteenth century. Nice holiday house located near the city centre of Isernia (about 1km), a city in the region Molise in central Italy. The house is on three levels.